Nowadays, parents are much more concerned with what they apply or use on their babies skin. I mean, years ago, the trend was "cutesy" more than functional and safe. 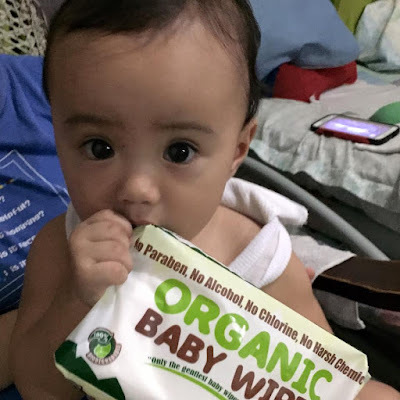 Organic Baby Wipes answers the question of is it safe for my baby's use. Errr, in this case, baby Kryztoff's use. It is not heavily scented. I don't like strong scents myself so using something heavily scented on my baby is definitely a no-no. It is not "too wet." Some wipes tend to drip, really. No kidding. No alcohol, no paraben, no chlorine. Thumbs up for having no harmful chemicals. I mean, most moms use wipes to clean baby's sensitive parts so using something with chemicals might cause rashes and allergies. 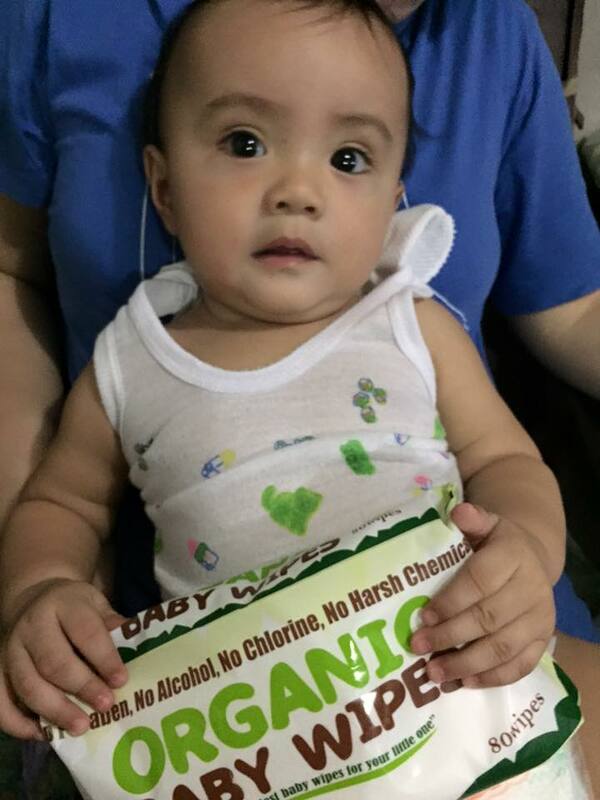 Organic Baby Wipes believes in giving you only the gentlest baby wipes for your little ones. Our baby wipes are infused with organic aloe vera, known for its anti-inflammatory properties, to prevent nappy rash. 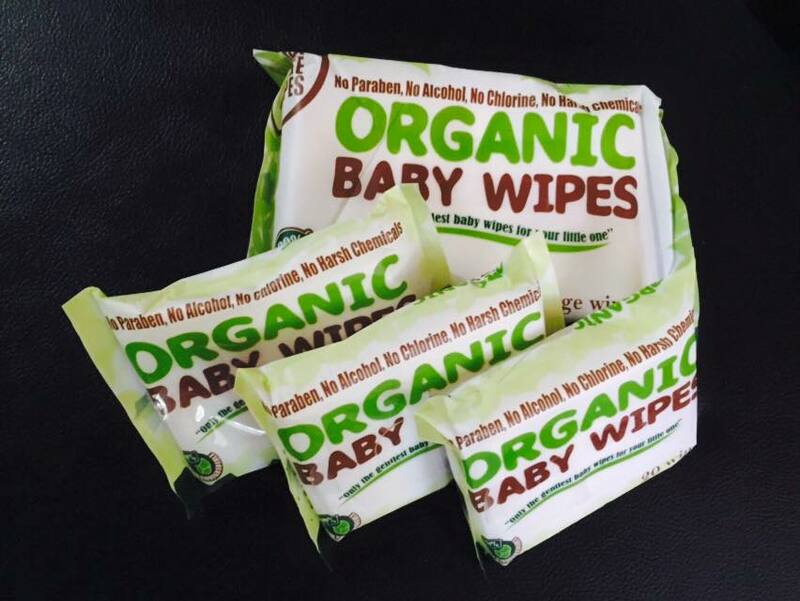 What's more, because we are organic, our baby wipes contain no harsh chemicals and are hypoallergenic- no paraben, no alcohol, no chlorine. You may also think that because its "organic" these wipes are expensive. Not true because the small pack costs only P40 (20 wipes), and the big one (30 extra large wipes) costs only P80. I mean, other wipes in the market are pricier. Btw, these wipes are available in- Babyland Shaw, Eastwood, and Festival branch; Babyzone in Fisher Mall; Fisher Department Store; Unimart; Makati Supermarket in Alabang; and Jewel Tone in Robinson's Magnolia. It is also available online via Lazada. Here's our baby Kryztoff who's turning 1 year old in a few months time. Time really do fly fast.